Coupons, deals and tips from DiscountMags.com shoppers and fans. Discountmags has an incredible selection of magazines at up to 90% off the cover prices. Read more, pay less! 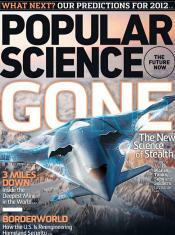 Just saw a great deal for Popular Science Magazine Subscription at DiscountMags.com! Just saw a great deal at DiscountMags.com -If you order 3 years of Family Circle you get them for $3 each year, using WILDFORWAGS in coupon code. Thanks @wildforwags!! Just saw a great deal at DiscountMags.com iI get all my Mags here, that have GREAT PRICES!!!!!!!!!!! LESS THAN THE COST OF 1 MAGAZINE IN THE STORE. Just saw a great deal at DiscountMags.com I get all my magazines here, GREAT PTICING!!!!!!!!!!!!!!! Just bought a four year subscription for Everyday with Rachel Ray to $13! I just got Rachel Ray's magazine for $4.50 per year for the next 4 years! yay! Just got a really great deal! I just got a year subscription to Architectural Digest for $4.99! 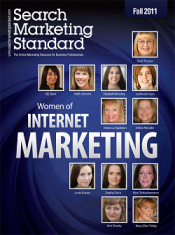 Use code "dealseekingmom" at checkout and save $55.01 off the cover price! Why pay full price for magazines? Check out this site for great deals. Just ordered Better Homes and Gardens for $7 for a two years. If you are interested use Promo Code Krazy! use code LIVINGRICH to get whole living for $3.76 a year!! 3 years Men's Fitness Magazine for $4/year - but hurry limited supply; w/ code 'BRADSDEALS' @ www.discountmags.com today! Just got Rolling Stone for 3.99 for one yr using code KRAZY. All my Cooking Friends!! You can get Rachel Ray Magazine for just $4.50/yr (Up to 4 years for $18.00). Just enter code MONEYSAVING! Gotten some awesome deals here over the last couple of weeks!!! Family Fun Magazine... 1 year subscription for $3.49 (FREE SHIPPING) with code BRADSDEALS. Love this magazine! Just sent a gift subscription through DiscountMags.com... Check out BradsDeals.com first for great coupon codes!!! Con este link pueden conseguir ofertas para sus magazines favoritos!!! This site has GREAT deals on magazines! Just got a great one for Reader's Digest! I can't wait to get my subscription to Organic Gardening! Thomas & Friends magazine is on sale for $14.99/yr with code MONEYSAVING. Chase is going to be so excited! Go grab yours. Just got Readers Digest for 3.99 a year at Discount Mags! Great buy! 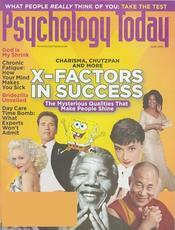 Just ordered 3 years subscription to Reader's Digest for $10.97 total at www.discountmags.com with coupon code coupondivas. Deal is good through 9:59 AM EST Wednesday 4/11/12. score! just got readers digest for 3.99 for a year. If you use my tip link I get a little something back. Thanks. Check this link out for great discount mags! Did you see a good deal for DiscountMags.com?